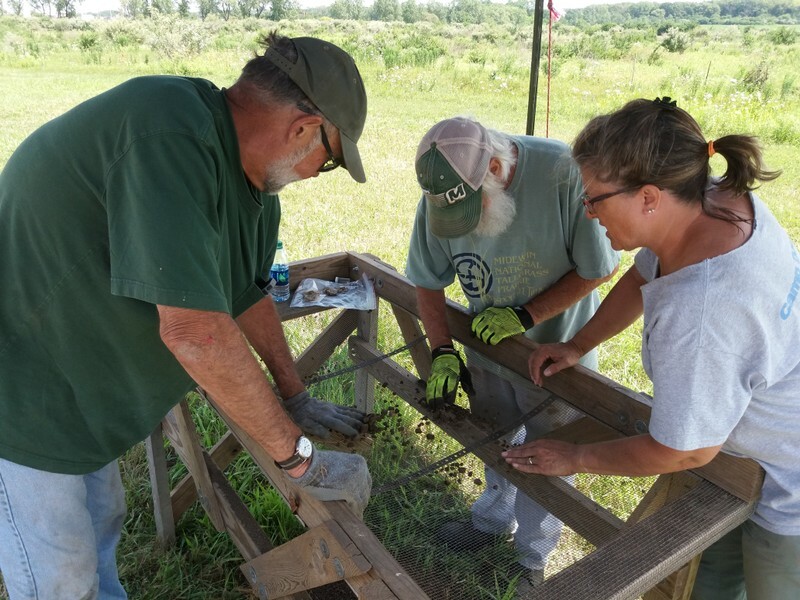 This summer 2017, Midewin National Tallgrass Prairie hosted its first PIT project since 2004. 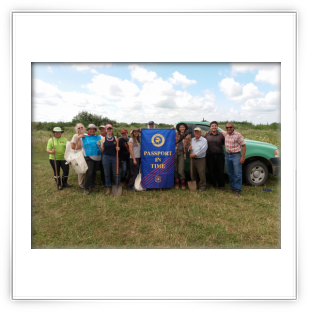 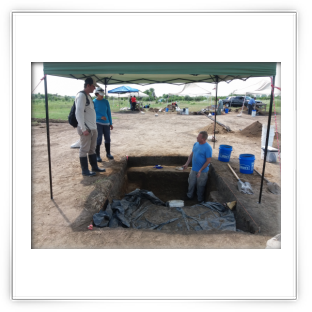 The Prehistory on the Prairie project completed year one of a three year project with the help of 49 PIT volunteers from eight states. 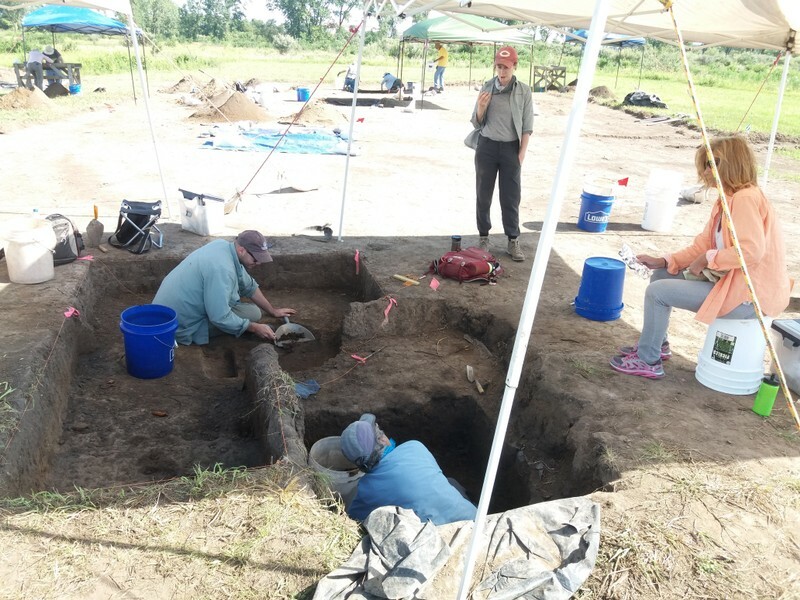 Led by University of Notre Dame Archaeologists Dr. Madeleine McLeester and Professor Mark Schurr, this academically driven project centers on the excavation of the Middle Grant Creek site, a Huber Phase village dated to approximately AD 1600, located in the middle of an old Joliet Arsenal Era TNT storage bunker field. 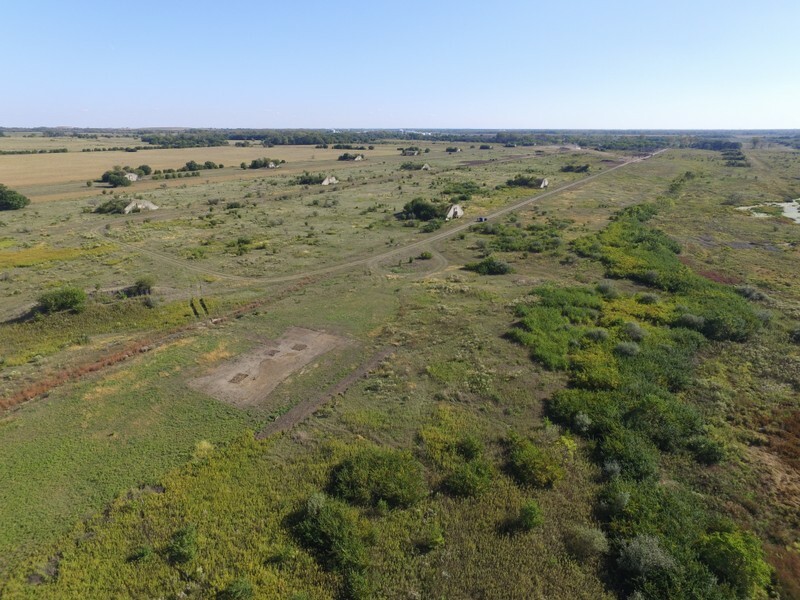 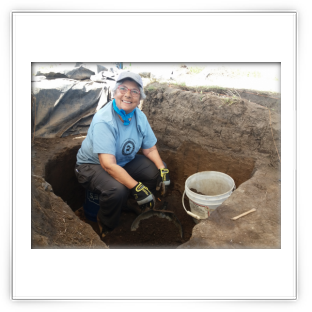 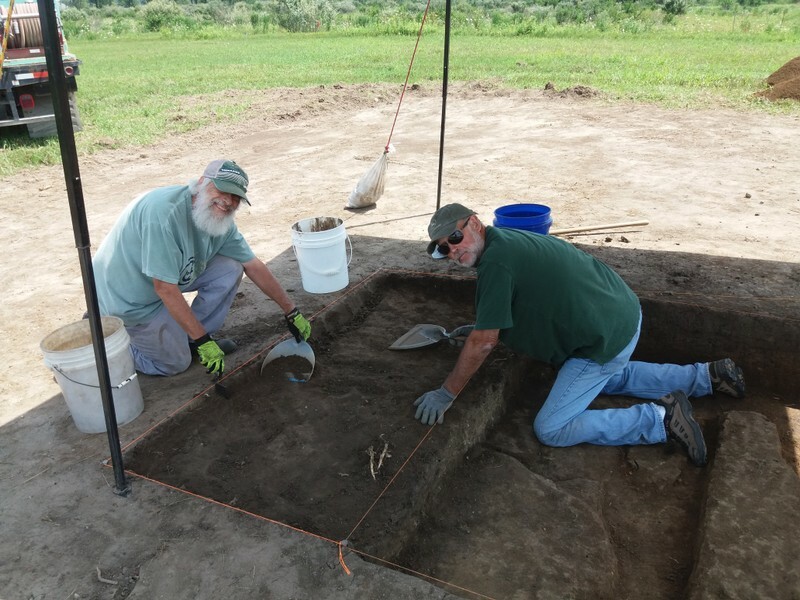 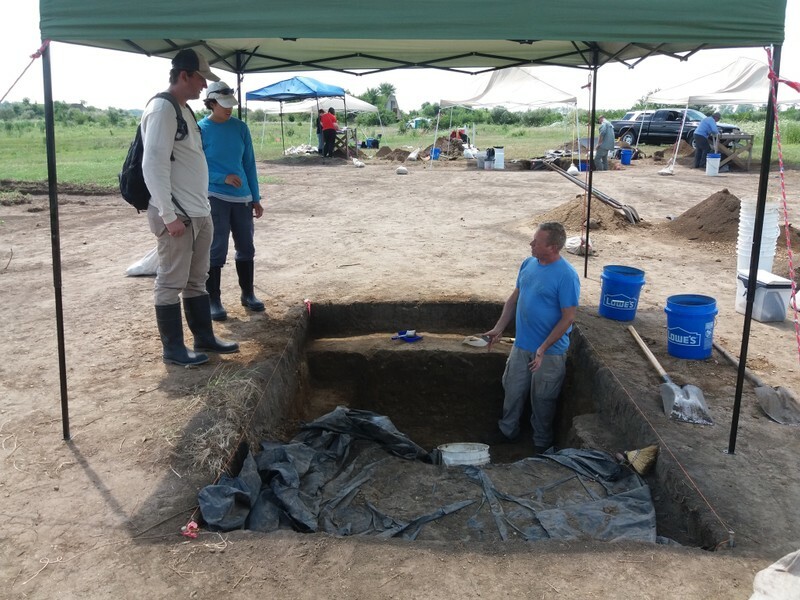 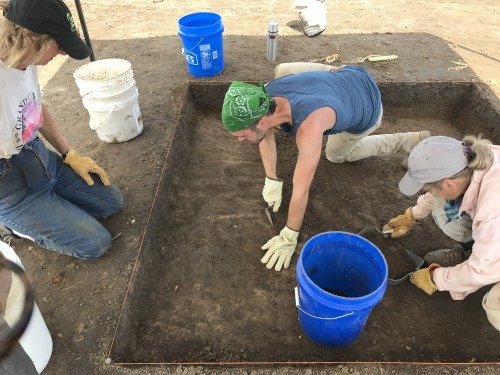 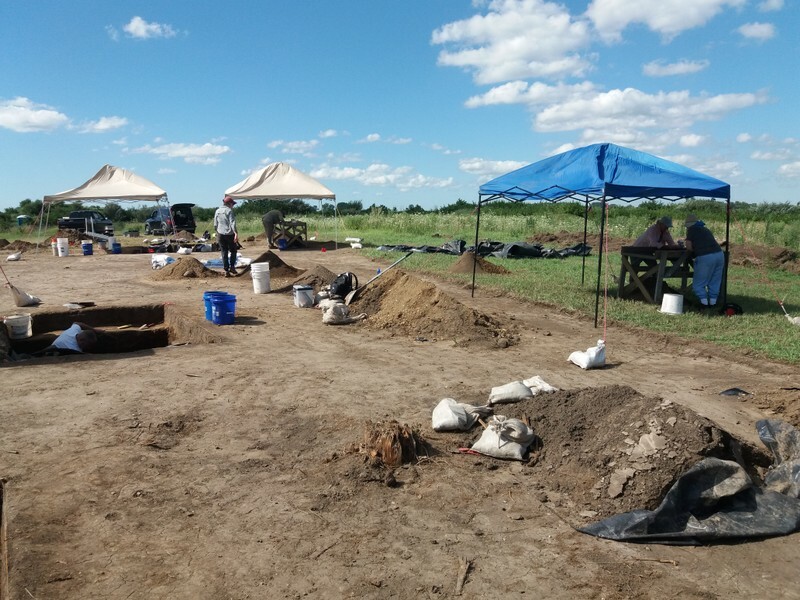 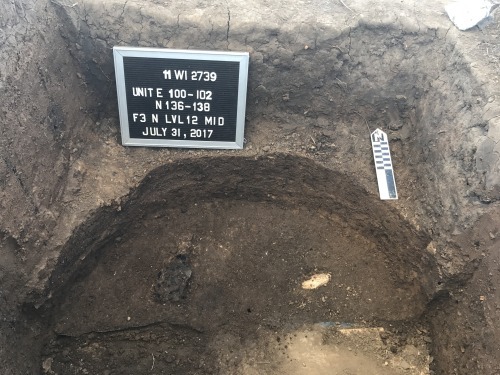 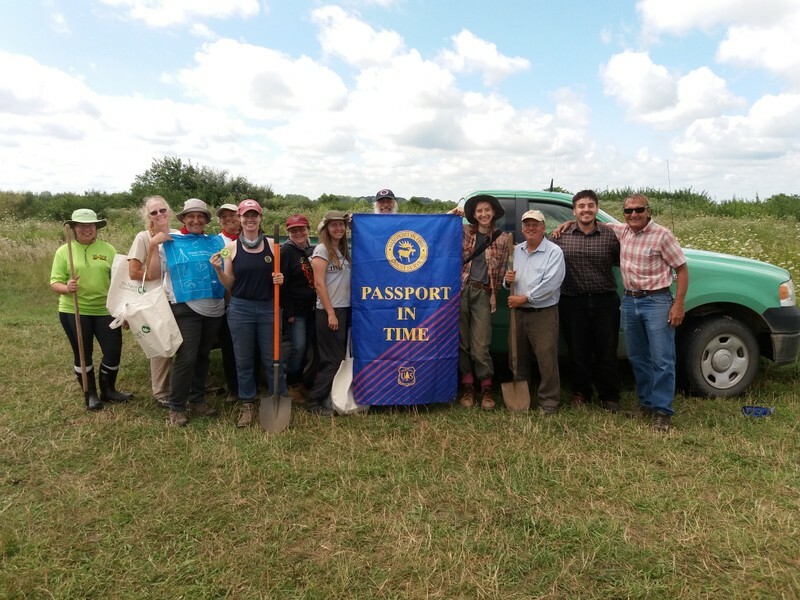 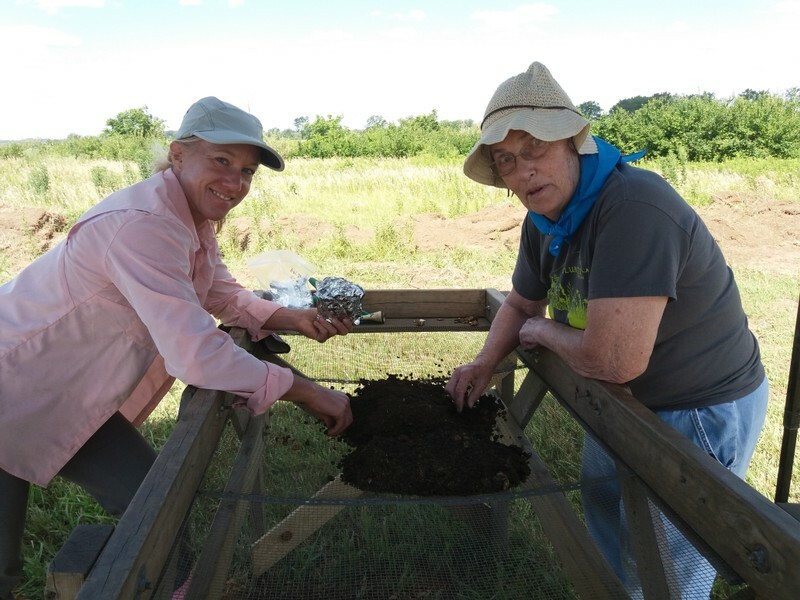 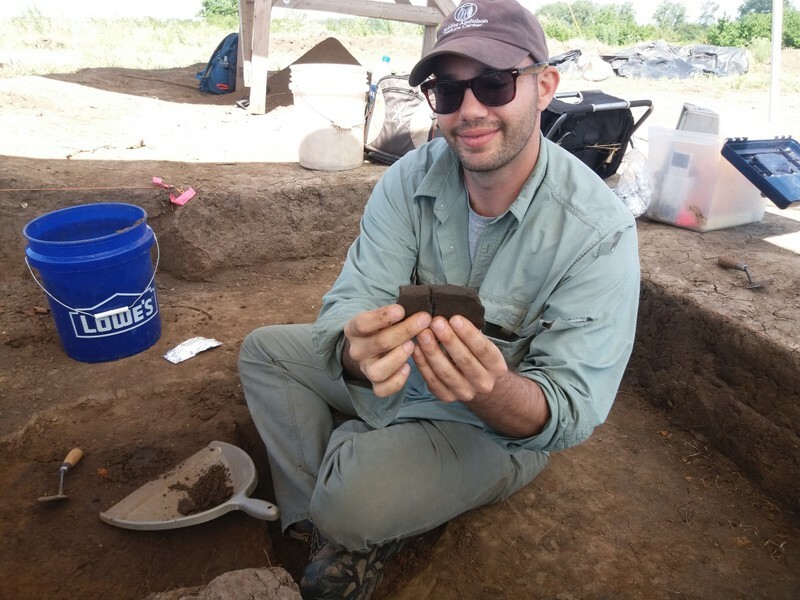 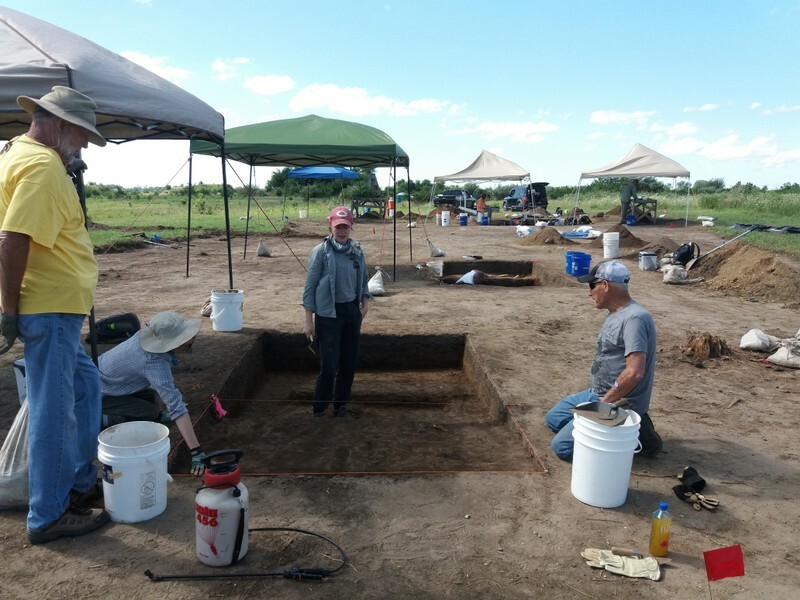 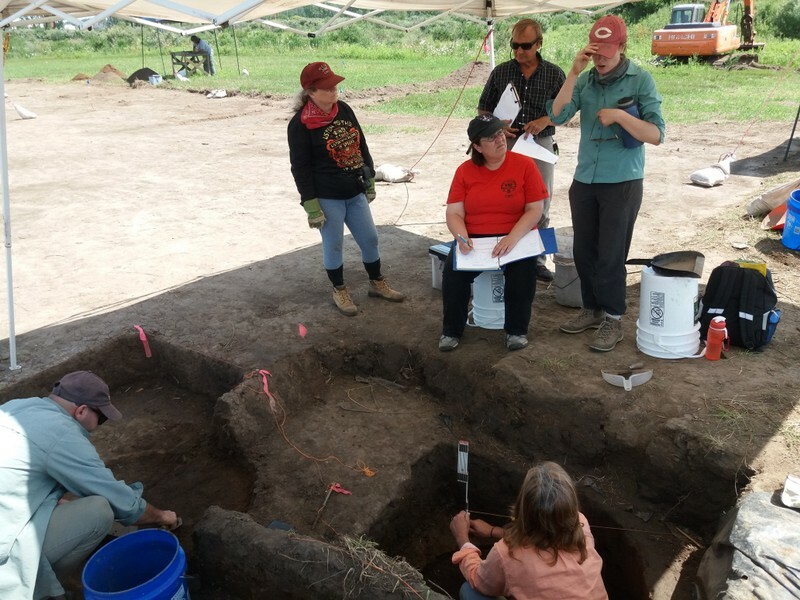 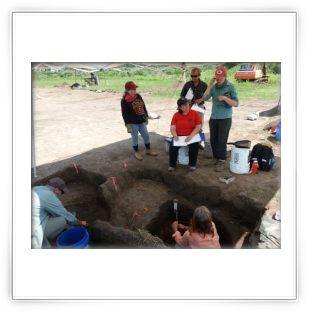 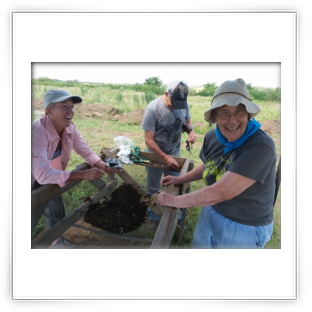 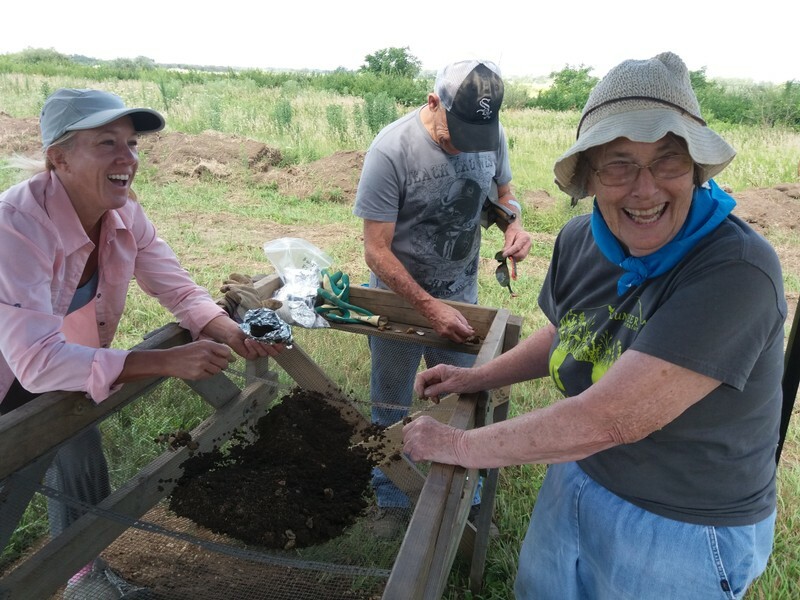 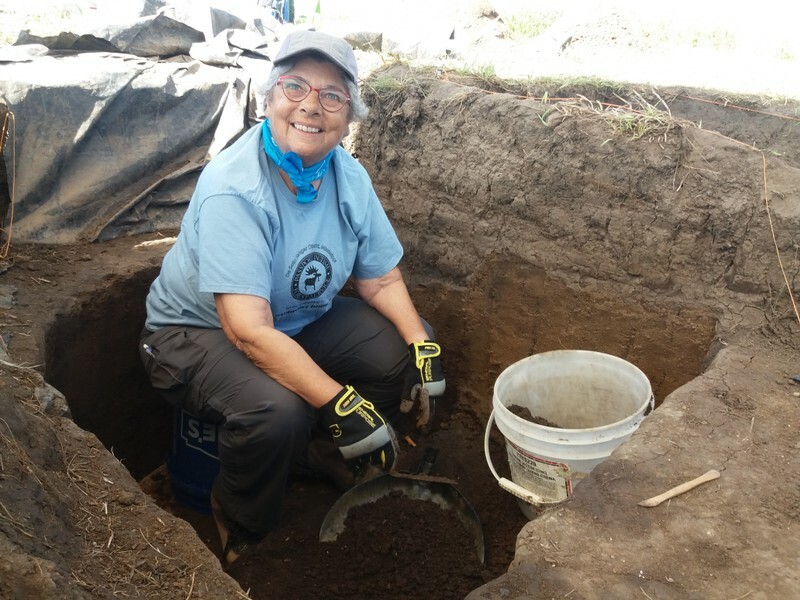 PIT volunteers clocked in over 2000 hours of excavation and spent their days breaking through sun-baked prairie soils to open up new units and unearth the refuse pits of this prehistoric community. 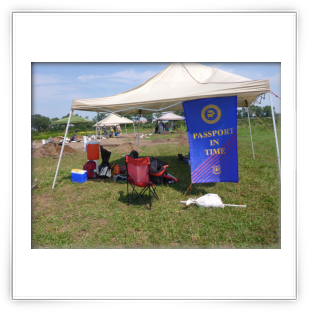 Using a retired TNT bunker for storage, volunteers worked under shade tents to excavate these features and screened their contents. 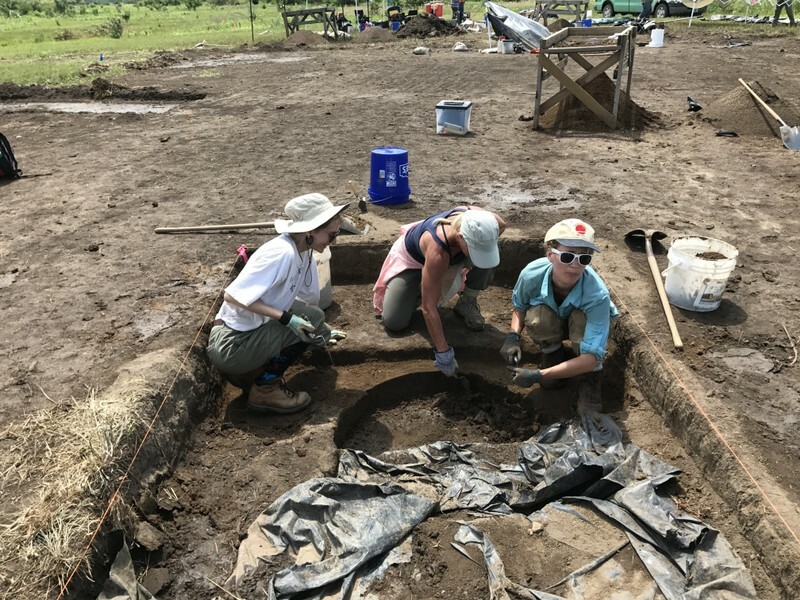 These refuse pits are full of animal bones, plant remains, broken ceramics, freshwater mussel shells, and stone tools, all thrown away over 400 years ago by prehistoric Native Americans. 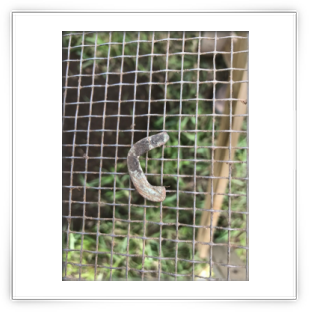 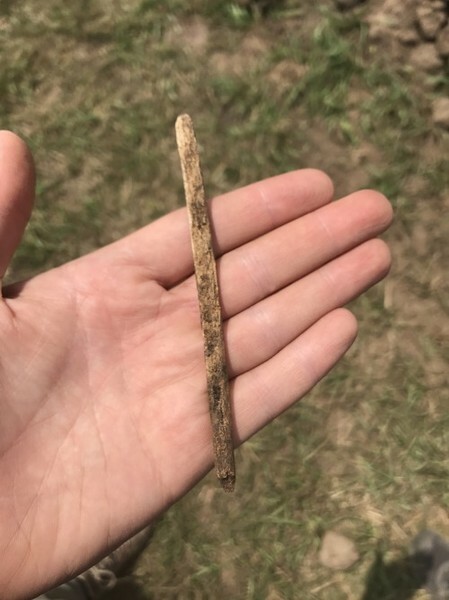 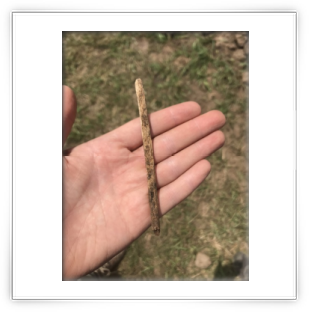 Because of the great preservation, the site also has fish scales, modified antler tips (likely digging sticks), and a portion of a bone weaving needle. 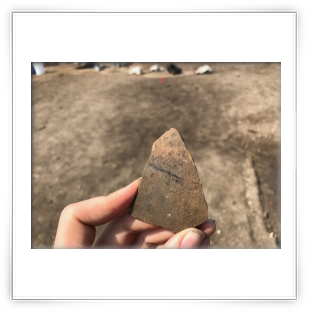 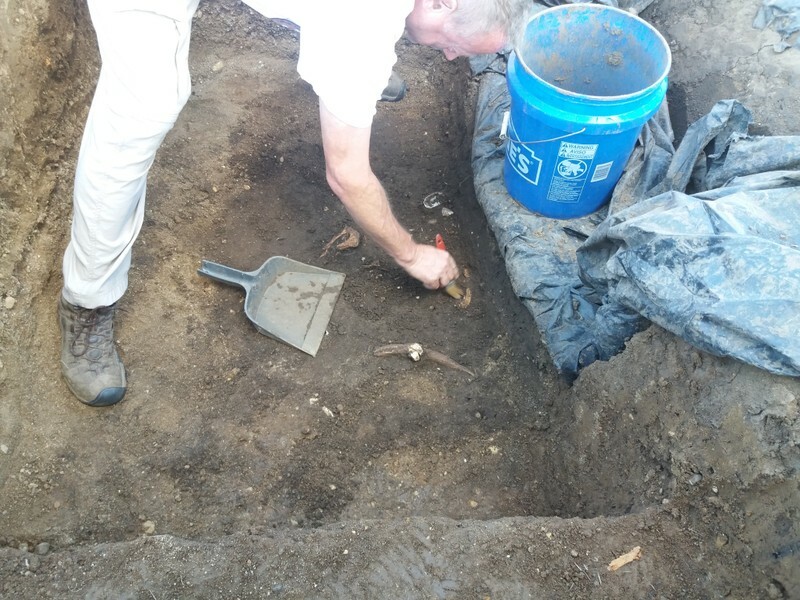 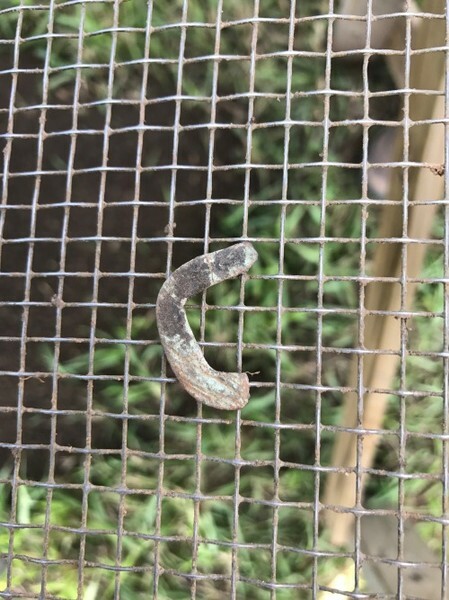 The features also contained rare and interesting artifacts, including a marine shell fragment from Florida and a projectile point that no local archaeologist has yet identified. 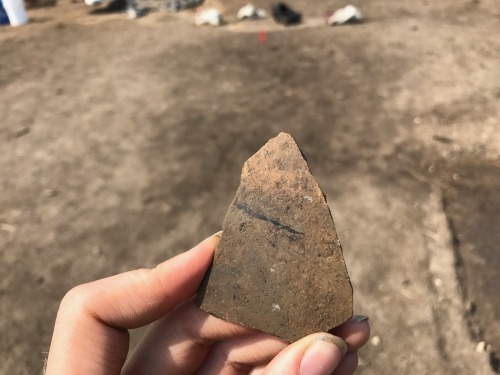 With hundreds of ceramic pieces, one in particular was very exciting—a piece of painted pottery! 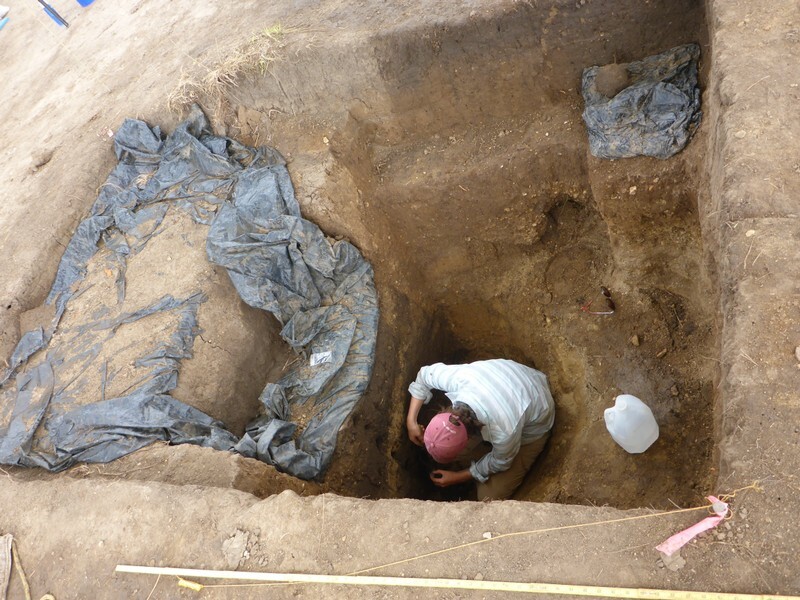 With only about 10 examples in the region, Drs. 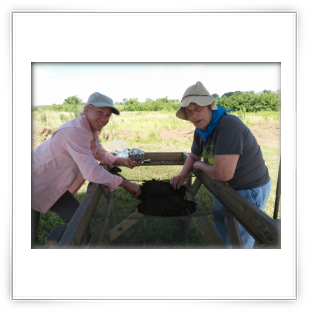 McLeester and Schurr tested the paint and found it was made from organic materials. 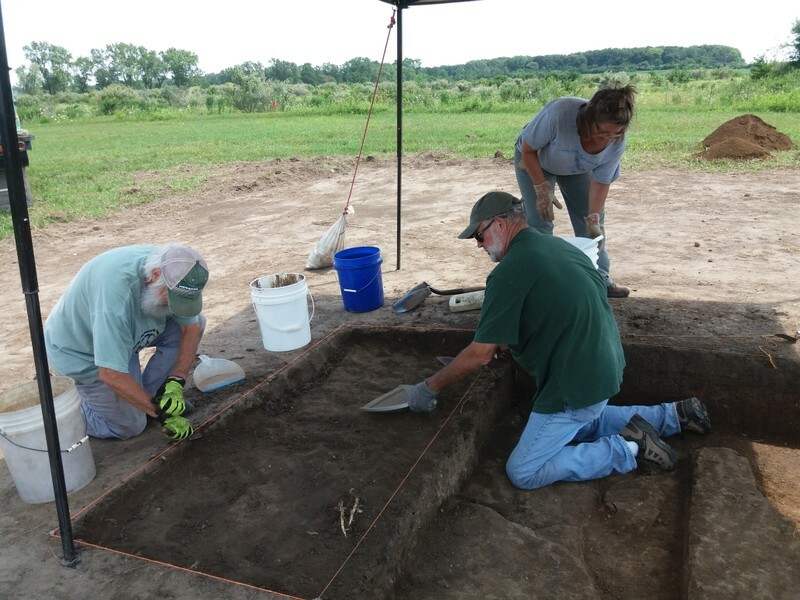 PIT participants are helping gather data that is rewriting Illinois prehistory. 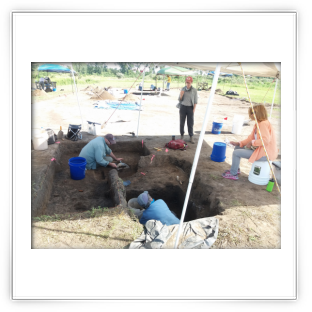 With 20 days of fieldwork, the project had averaged sixteen volunteers per day. 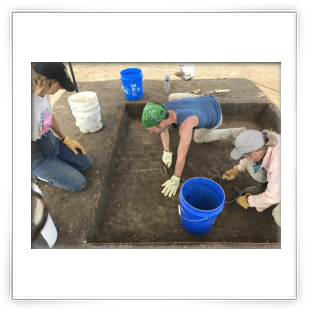 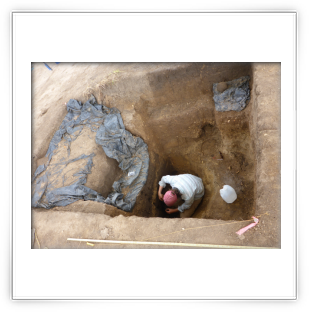 During their time at the site, volunteers learned excavation methods including: “Midwestern shovel skimming,” troweling, screening, feature sketching, site recording, taking soil samples, extracting a pollen core, and using Ground Penetrating Radar. 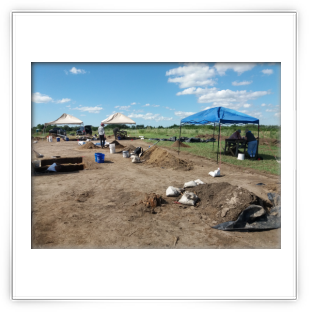 Volunteers also assisted with site maintenance by putting up, taking down, and adjusting shade tents as well as filling sandbags and covering the units overnight. 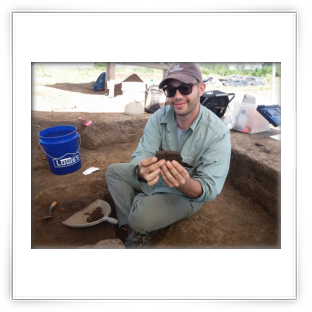 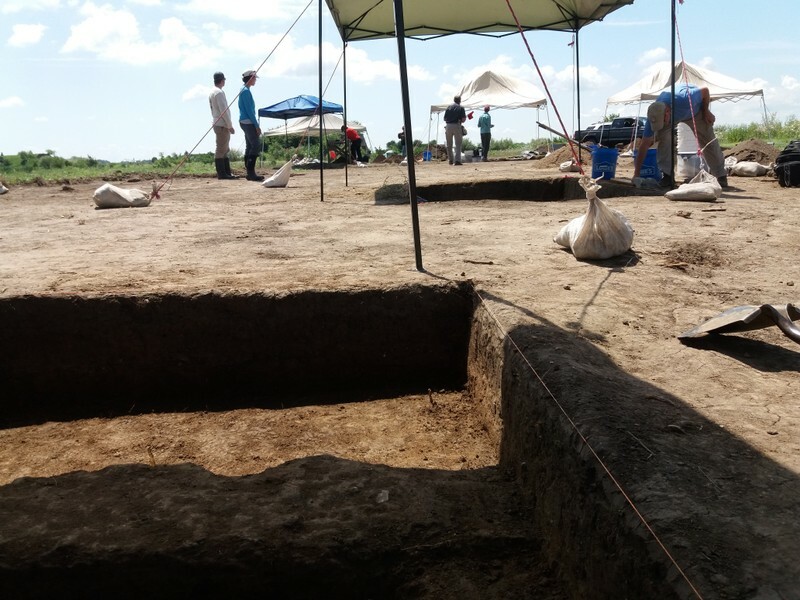 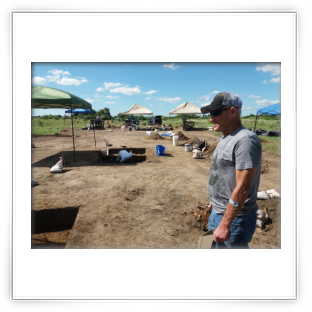 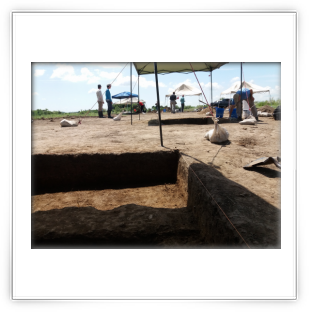 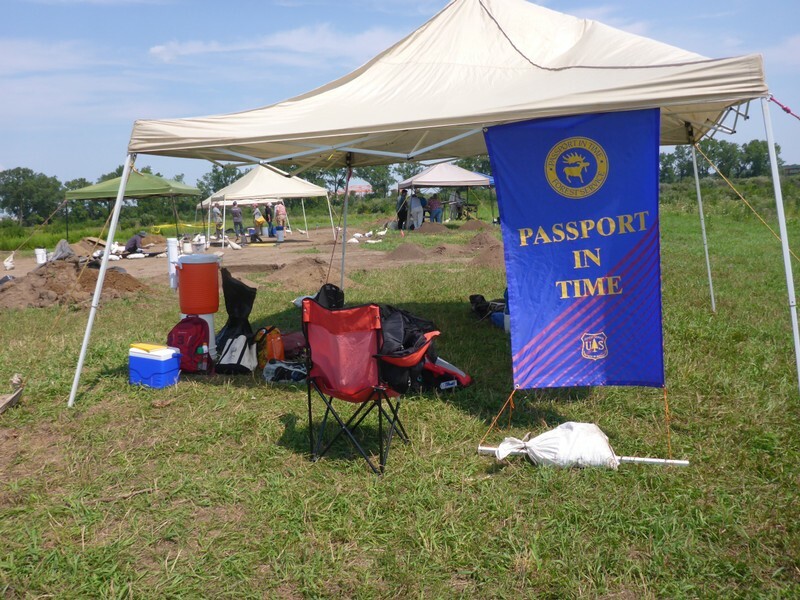 Everyone from first time PITsters to the most experienced seemed to enjoy their time on the project working side by side with additional volunteers like high school students, graduate students in archaeology, and professional archaeologists. 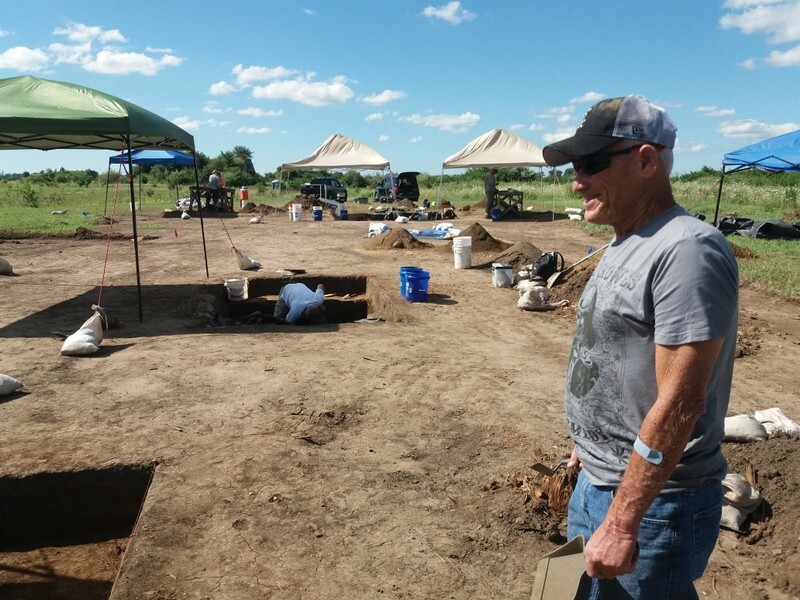 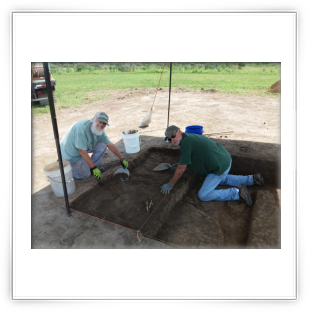 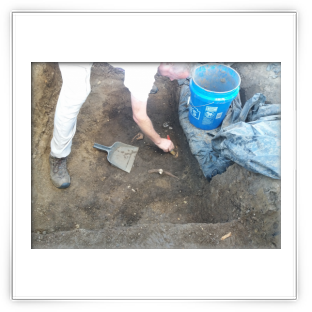 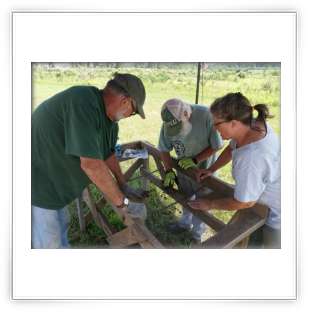 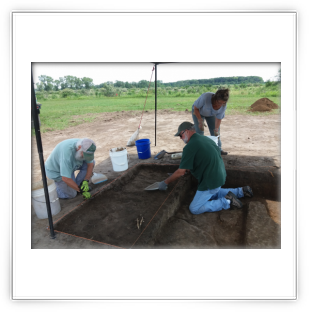 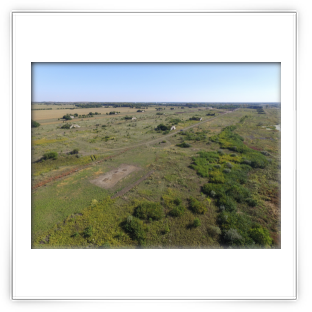 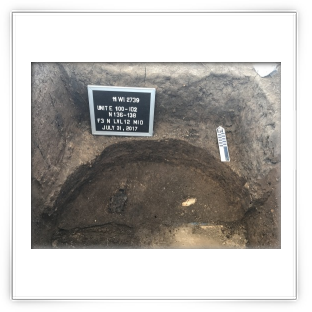 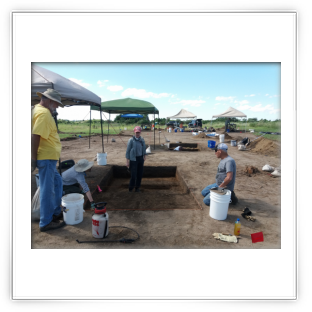 With this large a project, many volunteers are required and this year’s excavations allowed every PIT applicant on the clearinghouse list to be offered an opportunity to participate. 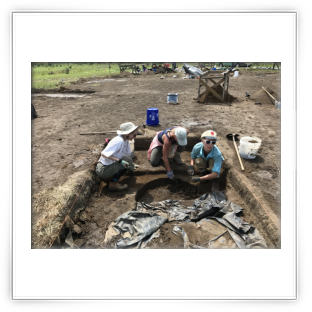 “Prehistory on the Prairie” is already planning the 2018 and 2019 field seasons and hopes to be able to continue the standard of high quality volunteer-powered field work!